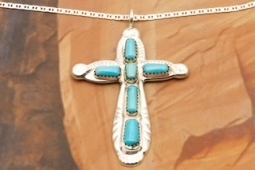 Beautiful Cross Pendant featuring Genuine Sleeping Beauty Turquoise set in Sterling Silver. The Sleeping Beauty Turquoise Mine is located in Gila County, Arizona. Free 18" Sterling Silver Chain with Purchase of Pendant. 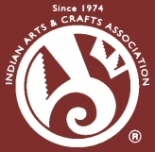 Created by Zuni Artist Wilbur Iule. Signed by the artist. The Zuni Pueblo is located in New Mexico, Land of Enchantment. Pendant is 2 1/2" L including bale x 1 5/8" W.